Jarrod Rizor has dreamed of having his own games on a Nintendo platform since he was young. Describing his childhood as completely inundated by the Nintendo universe, Jarrod was destined to become a game developer. It comes as no surprise that his current project, The Night Air, is heavily inspired by Metroid. 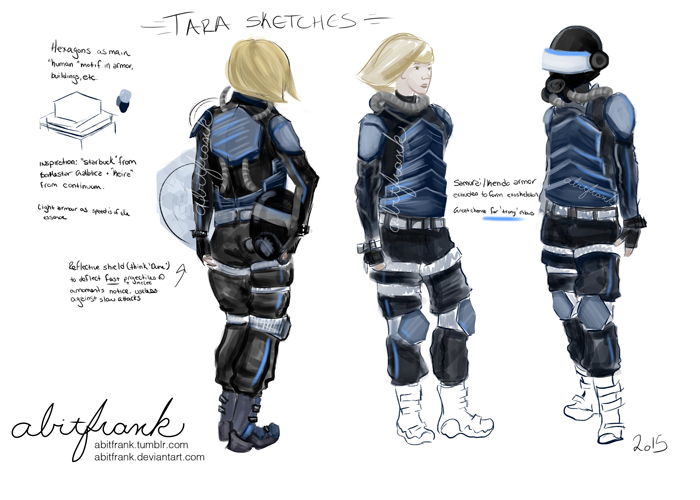 Tara, The Night Air’s main character, will not be fighting space pirates in the farthest reaches of the galaxy though. This female protagonist will be taking on alien invaders that have set up camp on planet Earth, right in Jarrod’s backyard of Cleveland Ohio. NLA: Tell us a little about your current project. Jarrod: The game I am working on now is called The Night Air. I’m building it with Unity and working with friends Stephanie (Art Director) from http://www.abitfrank.com, Tyler (Writer) and I’m the Director and Lead Developer on the project. We are currently working on concept art, level design, and gameplay. We have some awesome ideas in place and some working code for the game but nothing else at the moment. The game is inspired by Metroid and a personal favorite game of mine called Journey to Silius (Sunsoft 1990, NES). I’m working on a port for the Nintendo Wii U and Steam. I’m hoping to publish to the 3DS at some point as well. Jarrod: ...a 2D shooter action-adventure and I'm hoping to build around a Metroid world setting that encourages the player to move to different locations to explore and find items to help them on their play through. NLA: So there will be an exploration aspect to the game? What sort of things would you be looking for? Jarrod: … the aliens (that have invaded) can't live off oxygen. To them it's poisonous so they flood the planet with a type of gas that they live off of... The player will need to keep track of their oxygen level and will need to find oxygen tanks to keep it full. If it is depleted it's game over for them. NLA: And your second gameplay style idea? Jarrod: The other route is a 2D action shooter that just has linear levels and the player needs to get from point A to point B. We are currently working on the level design and trying to find the right feel for the direction. It could go either way at this point. Right now we are leaning towards the Metroid like world. NLA: You mentioned Stephanie from abitfrank will be developing the artwork for the game. What art style will you be going with? Jarrod: We will be going with 2D sprites. NLA: Do you have a release date set? Jarrod: The timeline we are looking to launch is middle of next year. No exact date has been established yet. NLA: So how long have you been developing games? Jarrod: I’ve been a professional developer for 5+ years. I have done hobby game development for a few years and have only created a handful of games. Usually for a Game Jam called One Game a Month. NLA: What are some of the projects you’ve completed? Jarrod: I’ve created a 2D infinite fall game called Falling Clyde, a text based horror game called In Here, a game I built in under an hour called Don’t Chase Me, and the most recent was for Global Game Jam 2016 called Chromasia. These games are very simplistic and were built just for fun. Jarrod: I've been dreaming of seeing a game I've built on Nintendo since I was a kid and I'm hoping to make something polished and fun that a lot of people can enjoy. I would also like to make a shout out to the Cleveland Game Developers meetup group for encouragement and help. Also the GDEX for allowing me to show off a game I did last year and introducing me to so many awesome developers and designers around Ohio. Do you like action adventure games? Let us know your favorite in the comments!